Coming Soon ... .. . Trying to resurrect this family name website as a suppository of our shared history, genealogy, and genetic inheritance. ... and watch as this site rises from the ashes of the old site that was maliciously hacked. 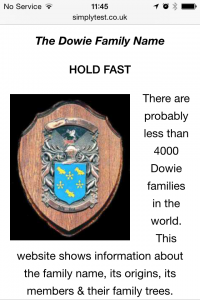 There are probably less than 4000 Dowie families in the world. This website shows information about the family name, its origins, its members & their family trees. The lives of notable Dowie's both past and present are reviewed. People with the same name or those with connections with the family are encouraged to forward information for inclusion in future revisions of the site. 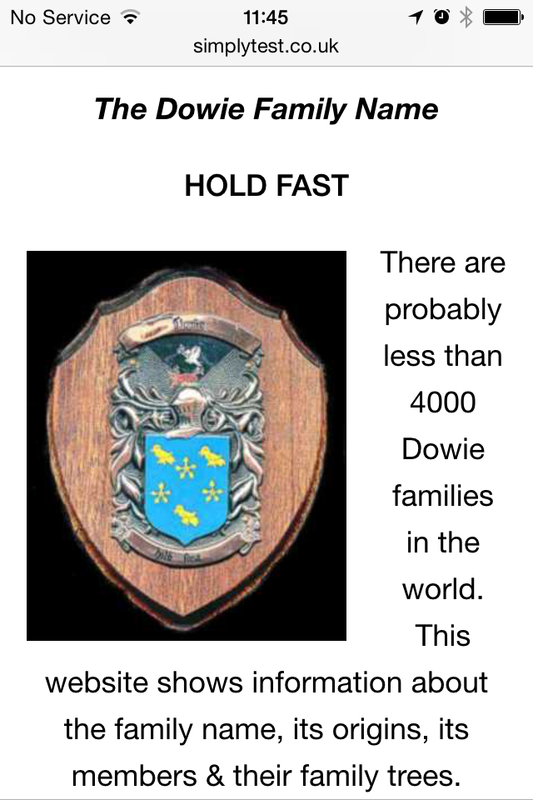 It is hoped to gather several family trees and encourage greater communications between those that bear the name - Dowie. Arms: Azure three quartrefoils chevron wise between as many doves d'or. 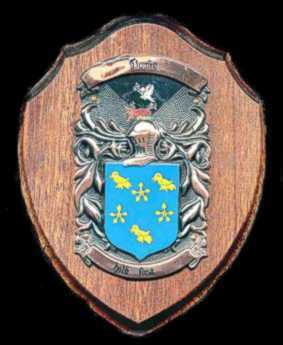 Crest: The trunk of a tree eradicated lesswise and sprouting to the dexter proper, surmounted by a dove volant, holding in the beak a sprig of olive also proper and gorged with a collar gemel d'or. "It is in truth not for glory, nor riches, nor honours that we are fighting, but for freedom -- for that alone, which no honest man gives up but with life itself."